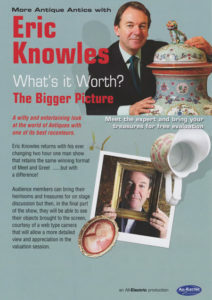 As well as being a recognised expert in his chosen field, Eric Knowles is a TV presenter and well-known face in the world of antiques, particularly to viewers of the BBC’s Antiques Roadshow and Antiques Master. He has a natural talent that enables him to share his considerable knowledge in a way that is exciting and easy to understand. Eric returns with his ever changing two hour one man show that retains the same winning format of Meet and Greet ……..but with a difference! Audience members can bring along their heirlooms and treasures for on stage discussion but then, in the final part of the show, they will be able to see their objects brought to the screen, courtesy of a web type camera that will allow a more detailed view and appreciation in the valuation session. Eric was born in Nelson in 1953 and worked in both engineering and for a firm of antique shippers in the early 1970’s. His love of antiques, inherited from his parents, came to the fore in 1976, when he joined Bonham’s, the London auctioneers, working first as a porter in the ceramics’ department, before becoming head of the department in 1981. In 1985, he was offered a full directorship at Bonham’s. 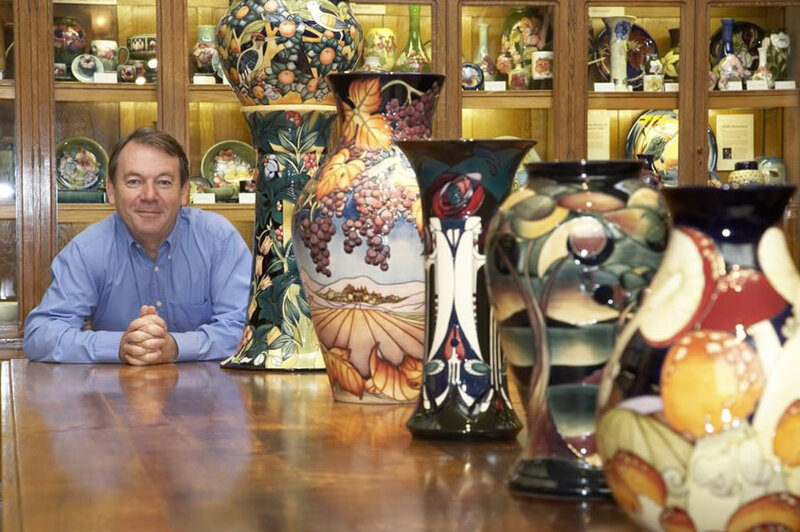 As a Fellow of the Royal Society of Arts, Eric Knowles has become a leading authority in the following fields: European and Oriental Ceramics from the Seventeenth to the Twentieth Century; the glass of Tiffany and Lalique; and Nineteenth and Twentieth Century Decorative Arts. Today he looks after museum liaison and several of his finds can now be seen in national museums. Eric has also become a regular face on TV. His appearances include Antiques Master, The Twentieth Century Roadshow, Crimewatch UK, Selling the Family Silver, Going For A Song, The Great Antiques Hunt, The Antique Inspectors, It’s a Gift and You Can’t Take It with You, and as a resident antiques expert on This Morning. He was a contestant on Celebrity Mastermind Christmas Special where he narrowly missed winning the trophy by 2 points! He filmed the historical renovation series for Discovery Home & Leisure called The House That Mackintosh Built, property series Period Property and Restoration Man. Eric is a writer. 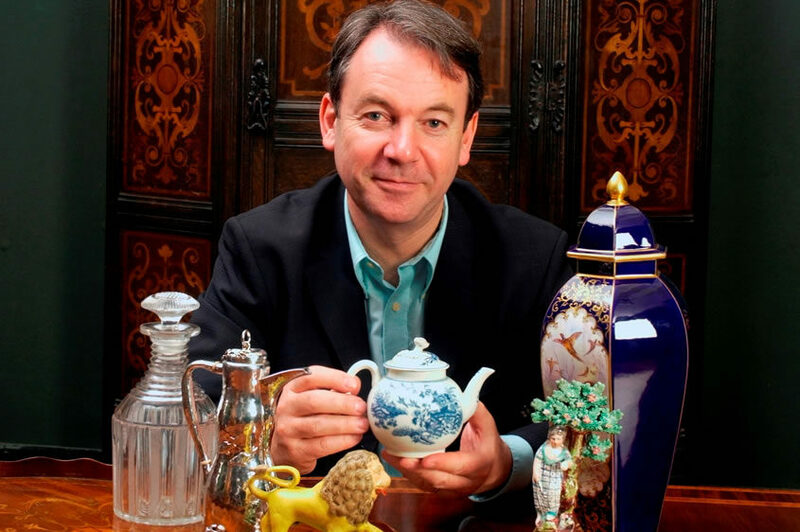 He is resident Sunday Times Antiques Expert and a frequent contributor to the BBC Homes and Antiques magazine and has written articles for the Evening Standard supplement, Home and Property and The Sunday Times’ Home. Eric has lectured extensively in the UK at such renowned museums as the Victoria and Albert and the British Museum and he has also lectured in both the USA and Canada. As well as presenting and appearing on radio (including regular appearances on Radio 2) and TV, he has written books on subjects such as Victoriana, Art Nouveau, Art Deco and Royal Memorabilia. 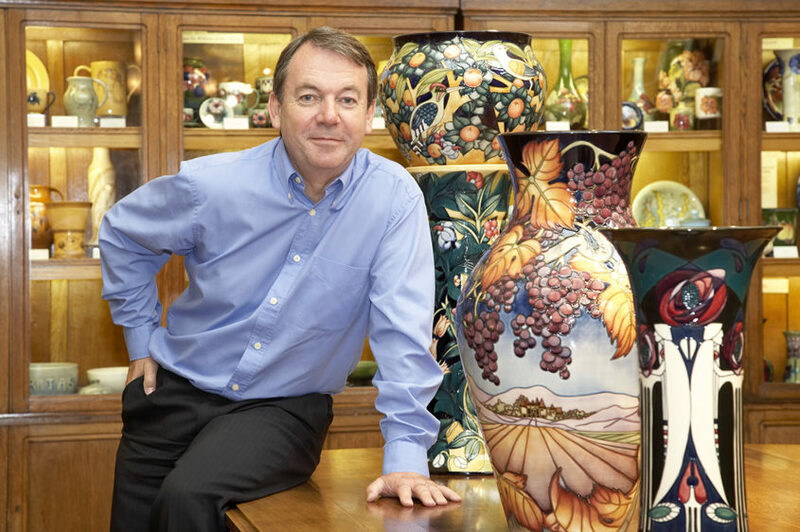 The famous pottery of Royal Doulton has launched the Eric Knowles character jug. He is a patron of several charities and is an Ambassador for the Princes Trust.